Providing a wide range of solutions for commercial applications from church construction to apartment homes, single-family residences, office buildings and many more, Owens Corning insulation is as versatile as it is effective and environmentally friendly. Making it their mission to provide insulation contractors, and our clients, with economical and efficient solutions, Owens Corning is a worldwide leader in fiberglass insulation. Whether you need blown insulation for your multi-family residence project in Atlanta or spray foam insulation for an office building in Richmond, Arango Insulation can provide you with the fast, precise service you need to get the job done on time, every time. And, when you choose Owens Corning insulation, you can be sure that your fiberglass insulation is as high quality as our installation services. 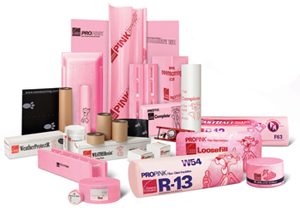 For more information on all Owens Corning fiberglass insulation products and to have Arango Insulation as your commercial insulation contractor, call or e-mail us today. We serve the entire Southeast from Pennsylvania to Georgia to Texas and everywhere in between, including Savannah, Charlotte, Louisville, Columbia, and beyond.